Danielle Walker Palmour is the director of the Friends Provident Foundation, which is an independent grantmaking charity that was established from unclaimed shares arising from the de-mutualisation of Friends Provident Life Office in 2001. In 2013 she joined the judging panel for the Charity Awards. She is also a non-executive director of Big Society Capital, a trustee of a number of local and national charities, and a member of the Congress of the University of York. 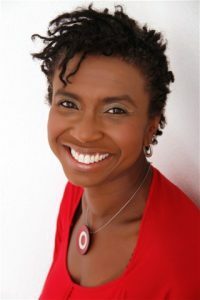 Previously, she held senior policy and research roles throughout the sector including director of policy and practice development at the Joseph Rowntree Foundation, head of policy of what is now the Big Lottery Fund and at the Commission for Racial Equality and the Law Society of England and Wales. Until 2011, she was a member of the Treasury’s Financial Inclusion Taskforce, the Cabinet Office’s Civil Society Advisory Body, the Financial Capability Taskforce and clerk of the Mount School York.